On the first day of January 1979, the United States de- recognized the Republic of China (also known as Taiwan or the ROC) as the official government of China, recognizing the People’s Republic of China (the PRC) instead. While this declaration helped to strengthen the U.S. relationship with the PRC against the Soviet Union, it created chaos in Taiwan. 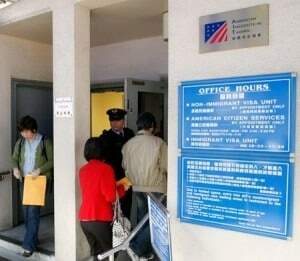 With the closure of the U.S. embassy in Taipei came a widespread financial crisis, the result of a mass exodus of investors from the country. What may not have been clear was that the U.S. government, under the Carter administration, was not seeking to sever ties with the island. 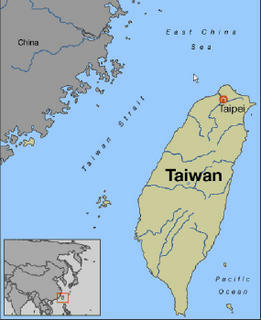 Although the U.S. had officially revoked its recognition of Taiwan as a legitimate political entity, significant U.S. financial and military interests remained on the island. The closing of the U.S. embassy in Taipei presented an obstacle to protecting those interests. Thus began the search for a solution that would allow the U.S. to conduct diplomatic relations with Taiwan in an unofficial capacity. Enter Harvey Feldman, the architect of the American Institute in Taiwan (AIT). As Director of the Office of the Republic of China Affairs, Feldman was intimately involved in the tumultuous period in U.S-Taiwan relations that followed the recognition of the People’s Republic of China as the official government of China. He was tasked with developing the means by which the U.S. would maintain its relationship with the Taiwanese government. On January 16, 1979, AIT was incorporated in the District of Columbia as a not-for-profit corporation. In this ADST interview, conducted by Edward Dillery in 1999, Feldman discusses the challenges he faced in developing and implementing a solution to prevent the relationship between the U.S. and Taiwan from falling apart. Follow the links to read about the de-recognition of Taiwan from the perspective of Neal Donnelly, Public Affairs Officer in Taiwan, and about U.S.-China relations in general. FELDMAN: At the end of summer of 1977, having been in Sofia for just two years, I was transferred to Washington as director of the Office of the Republic of China Affairs. I had been specifically requested for this position by the man who had been my DCM in Taipei, Bill Gleysteen … I think Gleysteen was the finest Foreign Service Officer of his generation. 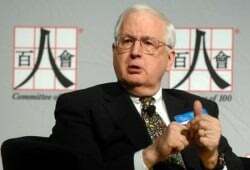 Bill was then the Senior Deputy Assistant Secretary in the Bureau of East Asia and Pacific Affairs (EA). 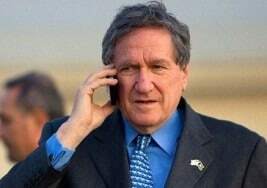 The Assistant Secretary was Richard C. Holbrooke. That was a very interesting assignment. It was in this period that we completed the “normalization” process and created the new institutions that now regulate America’s relations with Taiwan and with the PRC. On my first day on the job – very shortly after Labor Day, 1977 – I was called to Holbrooke’s (Richard Holbrooke was Assistant Secretary for East Asian and Pacific Affairs (1977-1981) office, where I met him for the first time. I was informed that my principal task was to create a way of maintaining all the necessary U.S. relationships with the ROC, without having any official U.S. representation on Taiwan. Subsequently, I learned that the reason for this was that in August 1977, Secretary Cyrus Vance (Secretary of State, 1977-1980) had been in Beijing and had told China’s “maximum” leader, Deng Xiaoping, that the Carter administration was prepared to move rapidly toward “full normalization” of relations. 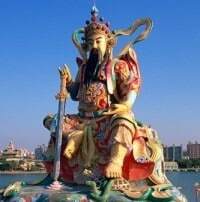 That meant the recognition of the PRC as the sole government of China. But Vance added that the complexity of our relations with the ROC meant that we would have to maintain a small office – e.g. a liaison office or a consulate or something like that. Deng immediately denounced this. He called for the “record of conversation” between President Ford and himself, along with Secretary Henry Kissinger, which had taken place in 1975. He asked someone to read to Vance in English the section of the Chinese transcript in which President Ford had promised that upon normalization of relationship between Washington and Beijing, the U.S. would have no official representation of any kind on Taiwan. So that was the reason for the marching orders I got from Holbrooke (seen right.) I was told that I had six weeks to come up with a scheme; I was further told that I should not consult anyone at all – not even a lawyer. I was to do this all by myself. So in between handling the normal tasks of a country director, dealing with a country which was an active trading partner for the U.S., where we had a significant number of U.S. military (a large MAG [military advisors group]) and a large CIA station and a sizeable consular work-load, I had to come up with this scheme. I did come up with something. The Japanese, when they had derecognized Taiwan and had recognized the PRC, had established a small “unofficial” office, called the Japan Interchange Association on Taiwan. So I took that as a model and modified it in recognition of our much more complex relationships. The three or four person office that the Japanese had would not be nearly enough for our workload. Sometimes people have told me that all I did was copy the Japanese; that was not quite correct. I designed an non-profit organization, chartered somewhere in the U.S., that would have a Board of Directors, appointed by the Secretary of State – and who could also be removed by the secretary – funded as a line item in the State Department budget. It would be staffed by government employees – primarily Foreign Service Officers – who for the period of service in this new entity, which I called “The American Institution,” would nominally be on leave-of-absence from their agencies. I divided t he “Institution” into various sections, taking the basic template of an embassy, but changed the names of the sections to give it a somewhat different character. 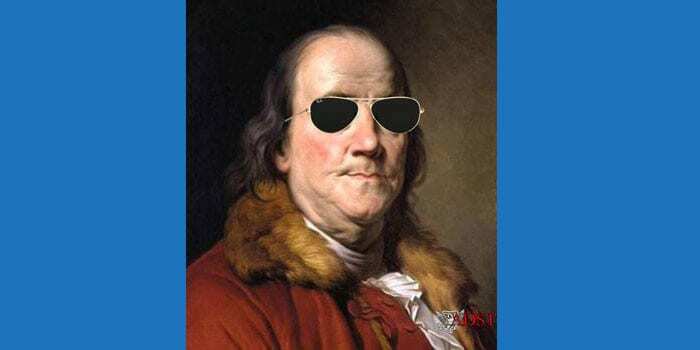 For example, the political section became the general affairs section; the economic section became the commercial and business section; the USIS [U.S. Information Service] became the cultural and information section; and so on. I assumed that we would continue military sales. U.S. laws requires that when you sell military end -use items to another country, we have to have some kind of military presence there to monitor the use of these items. I therefore maintained a MAG, but gave it a different name. So within about a month after my conversation with Holbrooke, working at night and on week-ends and during the few minutes available during the day, I wrote a 20-page description of the new entity and how it would function. I gave it to Holbrooke, who patted me on the back and said that this was fine. I didn’t hear another word about it for a long time. My principal problems in trying to manage our relationship with Taiwan were threefold: 1) economic and trade where we had a substantial trade deficit (I think we were doing annually about $40 billion worth of total trade with Taiwan and our deficit was running $15-17 billion per annum). So I had to plea with the ROC to buy more U.S. goods. I remember particularly that at one point Taiwan’s flag carrier, China Airlines, was trying to decide whether to buy DC-10s or Airbuses. I lobbied very hard for the DC-10, which they finally bought. Shortly after that, there was a series of crashes of DC-10s around the world which made me feel somewhat queasy, after the hard twist I had applied to China Airlines. That was one area of difficulty. Another concerned the stream of CIA reports about ROC’s attempts to develop nuclear weapons. This was done secretly at a facility called the Cheng Shan Institute. We had tackled this issue once before; we had told the ROC that they had to discontinue all of their efforts in the nuclear area. It promised it would, but we later found that the program had restarted. My deputy, David Brown, was particularly knowledgeable in this matter. We tightened the screws very hard on the ROC; we threatened all kinds of dire consequences if the program was not terminated. One of our threats fell in the area of arms sales, which we used as a club in the nuclear arms issue. …When I discussed my role as chief of the political section in our embassy in Taipei, I mentioned the draw-down of American forces and the reduction of installations on the island. This process was still continuing when I became country director for the ROC. 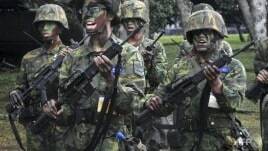 At this point the Taiwan Defense Command – the entity responsible for defending the island against attack – was down to a handful of people. As I suggested before, the Carter administration maintained the policy of getting “into bed” with the PRC. The one major difference between the Kissinger approach and the Brzezinski one to U.S.-PRC relations was that Kissinger saw this issue as part of a global strategy. Brzezinski was really interested in some form of military-to-military relationship, even though the PRC was militarily rather weak. But I don’t think that Brzezinski ever saw this deficiency; he thought in terms of PRC military forces on Soviet borders actually distracting the USSR. He foresaw a far closer military-to-military relationship than anyone else had or did. …On December 15, 1978 I arrived at the office around 8 a.m. – my usual time. As I began to pour myself a cup of coffee, I was summoned to Holbrooke’s office. I was told to call Ambassador [Leonard] Unger (Ambassador to the Republic of China, 1974-1979) in Taipei and instruct him to seek an immediate appointment with President Chiang Ching-kuo in order to inform him that around 9 p.m. in the evening (our time) the U.S. president was going to announce that negotiations on “normalization” had been concluded and that the U.S. on January 1, 1979 would de-recognize the ROC and would recognize the PRC as the sole legal government of China. I had some inkling that something was going on because starting sometime in September, under instructions from Secretary Vance, I and the legal advisor, Herb Hansell, went to New York secretly once every couple of weeks to discuss the terms of “normalization” with Herbert Brownell, who had been a close advisor to Thomas Dewey. He was a well-known Republican lawyer; the Attorney General under Eisenhower. Vance thought that if a prominent Republican would testify on behalf of the administration’s China policy following “normalization” and the various actions that followed it, the storm against the policy might be abated. He had talked privately to Brownell and had found that he was sympathetic. That led to Vance’s instructions to consult with Brownell on aspects of what later became the “Taiwan Relations Act,” including my ideas about the American Institute on Taiwan. Hansell and I held three or four consultations with Brownell from September to December. He was generally in agreement with our proposals. That was not a surprise to me. The surprise came when Holbrooke told me that the president would be announcing that night – December 15, 1978 – that negotiations had been completed and that we would be de-recognizing Taiwan on January 1, 1979. Previously, Ambassador Unger and I had argued very strongly, with Holbrooke and others, that we would have to give Chiang Ching-kuo at least two weeks’ notice so that he could prepare his people for the bad news. He had to have at least that much time to convince his people that the sky was not about to fall, and we had to have the time to explore with the ROC what institutions and structures would be established to continue a relationship and how they would work. Instead, I was told that there would be no advance notice, no discussion of alternatives, but we would be making a public statement of our position, giving Taiwan a two weeks’ public notice before de-recognition. That was hardly what Unger and I had argued for. idea where the ambassador was. (Feldman is pictured at right). Later, Unger insisted that he had left word where he could be found, but that some snafu must have happened in the embassy. I don’t know what the truth was, but in any case we could not talk to ambassador. In fact, Unger was at a dinner dance at the American University Club; that was not a private affair nor was there any reason for the staff not to know. When he returned to the Residence at about 11 p.m., he was found by Mark Platt, the political counselor. We talked to him on the phone and asked him to get in touch with Taiwan’s president to alert him to Carter’s announcement. He was told by Sullivan the same thing that I had gotten from Holbrooke, namely that we were giving two weeks’ notice; it was just not secret. Furthermore, the “normalization” and de-recognition communiqué declared that the U.S. acknowledged the PRC’s claim that there was only one China, of which Taiwan was a part. This has been greatly misunderstood, especially by successor administrations. When the U.S. said that it acknowledged the PRC’s position, it did not say that it accepted it. The usual way this U.S. statement would be translated into Chinese was to use the three character phrase “renshr dao” (“we acknowledge”) The PRC tried to pull a fast one; in their Chinese version of our communique, they used a two character phrase cheng ren (or “recognized”). This a phrase that is used when speaking of a recognition of a government. When the two character phrase appeared in the PRC text, the U.S. Liaison Office in Beijing should have immediately expressed its disapproval of the PRC text. The head of that Office was Leonard Woodcock, formerly of the United Automobile Workers’ Union. The DCM, J. Stapleton Roy (seen left), at the embassy at the time was someone who had been born in China, had grown up in China and was therefore bilingual; he had served in Chinese language positions for most of his career. He was completely aware of the difference between the two phrases. Roy should have immediately pointed out that the PRC had mistranslated the American text, but I am firmly convinced that because he was so keen to achieve “normalization,” he did not point out this very important mistranslation. So the official Chinese text of the communiqué included the phrase cheng ren (“recognized”). As time went on, even the word “acknowledges” has been misinterpreted by spokespersons of various administrations, including the present one. The Clinton administration has said from time to time that the U.S. has “accepted” the PRC view that Taiwan is a part of China. In fact, officially, the U.S. has never “accepted” the PRC view; we have only “acknowledged” it. Unger tried to get in touch with the Foreign Ministry’s duty officer immediately. That took a while, but he finally got to him, he told the officer that as a matter of great urgency he had to see President Chiang. 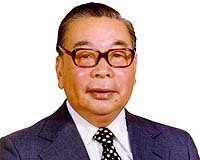 Ching-kuo suffered from insomnia. In fact, he was not in the best of health – he was diabetic, etc. No one wanted to really wake him up if he fell asleep. So Unger had some difficulties convincing the president’s staff that he really needed to be awakened to get the U.S. announcement. Finally, about 2:30 a.m., Unger got to see the Taiwanese president (seen right). He told him that in approximately seven hours, President Carter would be announcing “normalization” with the PRC and the de-recognition of Taiwan. It was an awful way to treat a loyal ally, as the ROC had been. For example, when Nixon and Kissinger had negotiated their deal with the Vietnamese in Paris, which theoretically was supposed to end the war, we had stated that on a date certain, there would be a cut-off of arms to the South Vietnamese. …In any case, it was not surprising that the ROC reacted very badly. It was a bitter pill to swallow and we didn’t force it down their throats in the most understanding way. The ROC was angry and felt that it had been treated very badly. It was deeply concerned about the future. There was immediate capital flight; the stock market crashed; the real estate market crashed. The economy nosedived – all because the Carter administration had mishandled the process. A few days afterwards, the Carter administration decided that it would have to send a special emissary to tell Chiang and the ROC that the world had not come to an end. It was decided that Warren Christopher, the deputy secretary of state, and Roger Sullivan would go to Taiwan for consultations. I argued very strongly against this action. I thought it was a grave mistake; the ROC was so ferociously angry that Christopher would not get a good reception. I thought a far better idea would have been to invite the ROC to send a high level delegation to Washington for discussions. I was over-ruled; Christopher and Sullivan left for Taipei. On the ride in from the airport to the embassy, they were assaulted by mobs. 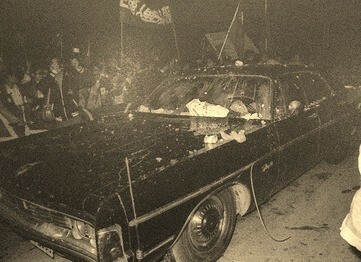 The car was stopped and pelted with eggs and other debris; the car was rocked and mobs shouted at its occupants (seen left). I am told that it was a very frightening experience. That demonstration was undoubtedly organized by the Taiwan Garrison Command – no demonstration would have been possible on Taiwan without government approval – if not active participation. But it reflected general public sentiment. The discussions were not fruitful, to put it mildly. In the end, without admitting as much, the administration followed my advice by inviting an ROC emissary to Washington for negotiations. Taiwan sent the senior vice minister for foreign affairs, Yang Hsi-kun, a wonderful gentleman. We negotiated with him the arrangements which essentially still govern today’s relationships between the ROC and the U.S. The ROC efforts at this juncture were motivated largely by the desire to deal with the panic that had erupted on Taiwan, with the economic consequences that I mentioned earlier. The way the Chiang administration felt it could deal with the situation was by continuing to assert that despite the shift in diplomatic relations, there was still an official relationship between the U.S. and the ROC. Yang Hsi-kun’s marching orders were to somehow get us to say that whatever was being said about the new relationship, there remained some official connection. We, on the other hand, were aiming to get the ROC to accept the new situation; e.g, deal with the U.S. through the American Institute in Taiwan (the new name for my American Institution proposal) – by establishing a parallel institution in Washington. The relationship after January 1 would have to be conducted through these two nominally unofficial organizations. At the same time, we were negotiating on such things as the continuing of treaties and agreements, continuation of arms sales, enriched uranium fuel for their nuclear power reactors, etc. 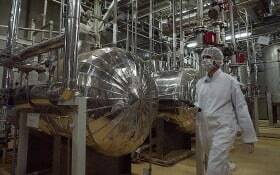 Under our arrangements with the International Atomic Energy Agency (IAEA), after the ROC’s expulsion from the UN, it was only the U.S. which could sell enriched uranium to Taiwan because IAEA inspectors were technically not allowed to inspect atomic energy installations in non-UN member states. Somehow, we worked out a new arrangement with the IAEA which allowed us to include IAEA inspectors in U.S. delegations which periodically went to Taiwan to inspect the ROC’s nuclear power plants. That was how an international inspection regime was maintained allowing the ROC to claim that it was still under an IAEA regime. But this convoluted scheme allowed only the U.S. to sell the enriched uranium and U.S. law allowed such sales only to “friendly” governments. U.S. law allowed arms and military supplies to be sold only to “friendly” states. There were similar restrictions in respect to Ex-Im Bank loans, to Overseas Private Investment Corporation (OPIC) guarantees and other U.S. government programs. Now the challenge was to convince the ROC that these problems could and would be taken care of in the legislation. The sticking point was whether the relationship had “qualities of officiality,” which was what Yang Hsi-kun’s orders were to insist upon. We could not accept such a formulation because we had promised the PRC that we would not have any official relationship with Taiwan. I should point out that the PRC would not accept “normalization” if, in addition to de-recognizing the ROC, we did not also agreed to three demands: 1) that we would withdraw all American forces from Taiwan; 2) that we would withdraw all official governmental institutions from Taiwan and 3) and that would abrogate the Mutual Defense Treaty. Carter agreed to demands (1) and (2) but said that the U.S. could not abrogate the treaty. We would terminate the Defense Treaty in accordance with its provisions – i.e. giving one year’s notice. And that is what we did; on January 1, 1979, we informed the ROC that we no longer recognized it and that we were withdrawing from the Mutual Defense Treaty in a year’s time. When Deng Xiaoping heard this, he swallowed hard and pointed out the obvious – our defense treaty would remain in effect until December 31, 1979. We told him that there was no other way out. He demanded that for that year we would not approve any new arms transfers or sales. We accepted that compromise. So in 1979, we had a defense treaty with an entity which we did not recognize and we would not sell or transfer any new arms. Thereafter, we would sell arms to a government we did not recognize. That was “creative” diplomacy or complete idiocy – I don’t know which is the most apt description. We argued about this over and over again. At one point I said to Yang – privately in the corridor – that he and the ROC could say whatever it wished about our relationships; we could not control that. We had to say that there was no “official” relationship. I also told him that if the ROC insisted on defining its representation in Washington as “official,” U.S. government officials could not talk to it. But if the Taiwanese institution were deemed to be “unofficial”, we could of course have discussions with its staff. It was on this basis that we eventually came to an agreement. Each side said what it wanted to say. That was not acceptable to the ROC which said that it represented the Republic of China, not Taiwan. We discussed this matter at great length. Finally, the ROC delegation, in the corridor again, asked for our suggestion. I had a brain-storm. I said that the Ministry of Foreign Affairs was a good model; the division that handled U.S. relations was called the “North American Affairs” bureau, not “American Affairs.” So I suggested that the institute be called something like “The Institute for North American Affairs.” I noted that it could even be headquartered in Canada. So we forced on them a very unwieldy name. I had to repeat that the decision was the ROC’s, not mine. I did admit that I suggested a name or two, but the final name was their invention. Much later, the ROC obtained our permission to rename the Institute as “The Taipei Economic and Cultural Relations Organization (TECRO),” which is the current appellation. The ROC saw that as a great advance and improvement over CCNAA. When the announcement was made, I commented that I thought their entity represented a country and not just a city. 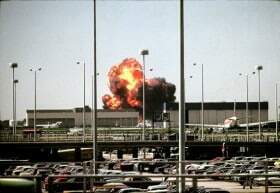 I might mention that starting in mid-December 1978 [Assistant Secretary of State for Public Affairs] Hodding Carter would have me brief the press from time to time on the negotiations, the new arrangements and what might happen.